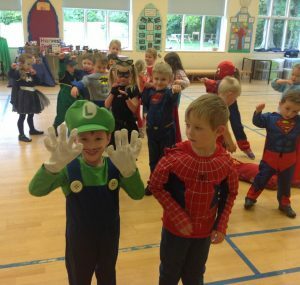 Class 1 had great fun on their superhero day. We danced to superhero music, worked on our superhero balancing skills and poses. We also made a baddie trap in our outside classroom.